Air goods transport unaffected by Sino-US trade dispute | Airlines. The China-US trade dispute has not hurt air goods transport, says IATA Director General and CEO Alexandre de Juniac. He explained that goods such as aluminum and auto parts were transported by shipping not planes, and so far air cargo was stable. However, he warned that trade protectionism could be a risk for the aviation market. In a report, IATA predicted that 2019 will be its 10th year of profit, but there will be a 3.7% annual increase in cargo in 2019, the slowest pace since 2016. This reflected the weak world trade environment impacted by increasing protectionism, the report said. 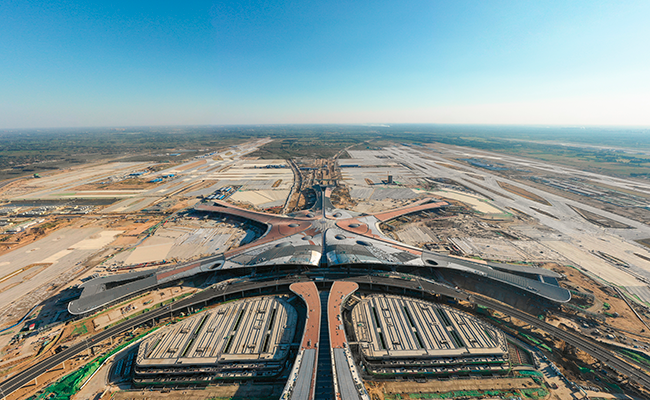 The new Beijing Daxing International Airport (pictured), to the south of the capital Beijing, is scheduled to open in September. De Juniac said the Chinese government has set a good example in infrastructure construction. But he suggested that the slots in the new airport for all the airlines—whether they were Chinese or overseas players—should be more transparent and flexible to meet demand. Also, how to fully manage the air space in the airports was also the question ahead for the Chinese aviation regulator. International Air Transport Association (IATA) Director General and CEO has said the rising tide of global protectionism is damaging for the air cargo industry. CEIV Fresh has been certified following a trial period involving the Airport Authority Hong Kong, Cathay Pacific and Hong Kong Air Cargo Terminals Limited. Air freight company adopts electronic-only access to IATA standards and guidelines publications.